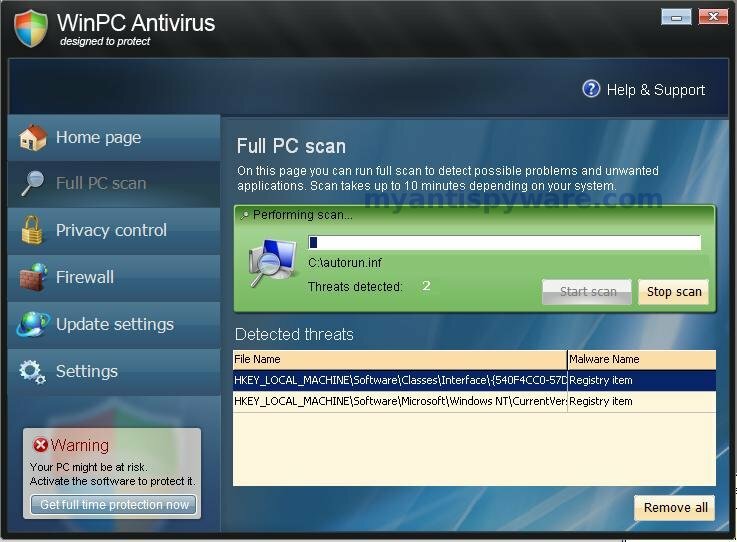 WinPC Antivirus is a rogue antivirus/antispyware program that a new version of rogue named as WinPC Defender. Like other rogue antispyware programs, it is distributed through the use trojans. 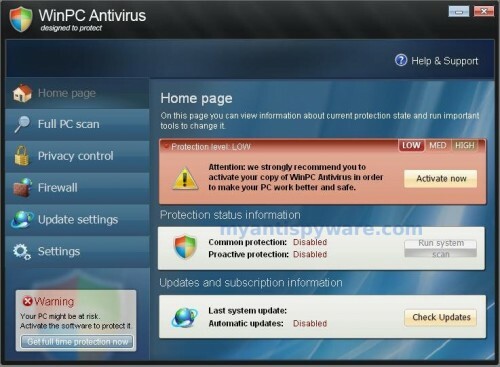 Once infected with these trojans your computer will display large amount of security alerts and popups that tells you that your computer is infected and you should download and install WinPC Antivirus in order to protect your computer. When installed, WinPC Antivirus configures itself to run automatically every time, when you start your computer. Once running, it will scan your computer and reports false or exaggerated system security threats on the computer that cannot be removed unless you first purchase the software. Running of WinPC Antivirus may drastically slow the performance of your computer. 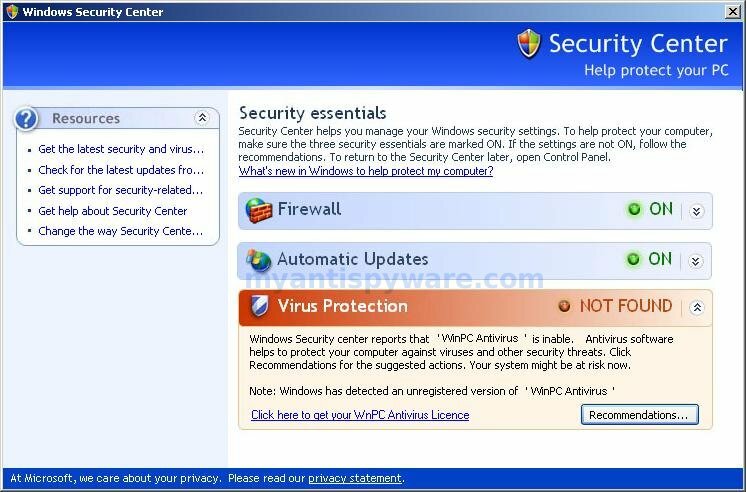 While WinPC Antivirus is running, your computer will display fake Windows Security Center that will recommend you register WinPC Antivirus and fake security alerts from your Windows taskbar. you to block the attack immediately. These alerts and warnings are a fake and should be ignored! Use the free instructions below to remove WinPC Antivirus and any associated malware from your computer. I’ve got the WinPC trojan, but cannot download your anti-malware software because it’s preventing me from connecting to the internet. Plus I cannot open task manager because it comes up with ‘Application cannot be executed. The file is infected’ Please activate your antivirus software’. Roland, try use Safe mode with networking. Please read the article: How to reboot computer in Safe mode, but reboot your computer in the Safe mode with networking (Select second option in the Advanced Options Menu).